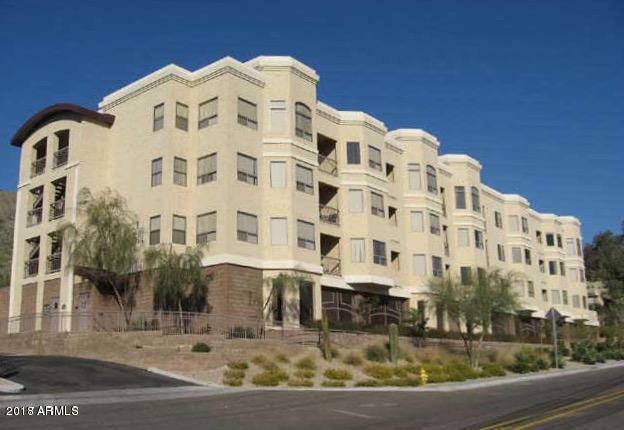 Come to see this beautiful Condo located in trendy North Central Phoenix. The unit faces East and has unobstructed views of the mountains and city lights. You'll enjoy a spacious split bedroom floorpan with updated bathrooms and ample closet space. The Kitchen has upgraded Stainless Steel Appliances and plenty of countertop and cabinet space. This home also has 2 dedicated parking spaces, one located in the parking garage and one covered parking space both located behind the gates. The community boasts a heated pool and spa, BBQ area, club house, fitness center, elevators, gated entry, controlled building access, and moments away from hiking shopping and freeways. Cross Street Central Ave. And Dunlap Ave.